Odisha Tribal Tour is another arm of this glorious state extending tribal hospitality here. This tribal tour acquaints a traveller with over sixty tribes in south Odisha. Some of these tribes have remained untouched by modern civilization and are cultural hubs on their own. This Incredible India tour will introduce travellers to the rich roots of Odisha Tribes through their rich cultural elements. Their artistic sense can be experienced through their music, dance forms, tattooing, painting bodies and decorating homes with wall paintings. 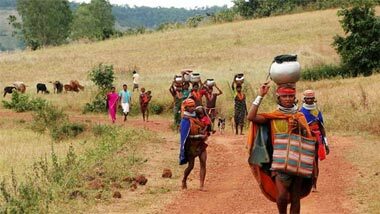 A local guide well versed with their language and lifestyle will accompany travellers during Odisha Tribal Tour. The accommodation during the tribal tour will be raw and basic. Photography is prohibited in Bonda and Khood village tribes. Beginning from Bhubaneshwar, the Tribal Tour is the best way to explore odyssey of Odisha. From Delhi, begin the assisted transfer to the airport and board the connecting flight to Bhubaneshwar, the capital of Odisha. On arrival, transfer to the hotel for overnight in the capital city. Dedicate first day of Odisha Tribal tour to explore Bhubaneshwar, renowned for its magnificent temples, noted for its distinct beehive shaped architecture. Visit Lingaraj and lyrical Rajarani Temple. Option to visit the local craft village can also be availed. Return to the hotel for overnight stay. Check out Bhubaneshwar for an excursion to Konark, a world heritage site noted for its Sun God Temple shaped in the form of chariot pulled by seven horses. This temple is an outstanding testimony to the 13th-century Odisha and is a scintillating jewel of the state's glorious heritage. 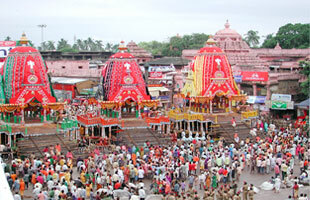 After the excursion is over, drive to Puri, a spiritual city settled around a beach. (60 km / 1½ hrs) Upon arrival in Puri, check in the hotel for overnight stay. Next day, discover pious city of Puri where the famous Jagannath temple is the center of attention. This is one of the four sacred Char Dhams and one of the most revered pilgrimage sites for Hindus. (Non Hindus are not allowed inside this temple). Enjoy sightseeing of Puri Beach where mild tides and human creativity of sand art coexist comfortably. Day is free to relax in the balmy surroundings of Puri and return to hotel for overnight. After breakfast, drive south towards Chilika Lake, Asia's largest brackish saltwater ecosystem famous as a bird dwelling. This is a famous eco tour option in Odisha where numerous avian can be spotted in their natural habitats. Later drive to Taptapani, renowned for its hot springs. Check into the rest house for overnight stay. Taptapani forms the gateway to tribal tour of Odisha. In the morning, drive to the area around Putta Singh and visit Saoras Village, home to Saora tribe, the second most prominent tribe of the state. This tribe still has retained the original culture and traditions. Polygamy is a common practice here and children are given adult status at an early age. This tribe settlement earns its livelihood through terraced paddy, vegetable cultivation and supplements their food supply with forest produce gathering. Return to the hotel in Rayagada or Bissam Cuttack for overnight stay. Drive out to the countryside and visit Kuttya Kondh and Rasul Kondh village. The Kondhs Tribe is noted for their colourful ceremonies; famous among this was human sacrifice, which was stopped by the British in the mid-19th century. The ritual is now replaced by animal sacrifice during planting their crops to ensure good harvest. Also, Kondhs today are renowned for their knowledge of medicinal herbs and their artistic metal jewellery. Return for overnight at Rayagada or Bissam Cuttack. Visit Chatikona to see the Dongariya Kondh market, which is settled on Wednesdays only. Observe the unique transactions of Dongrariya Kondh, a sub tribe of Kondhs in a market place. Overnight at Hotel. Drive out to visit the local Bonda and Godhaba market which is held on Thursdays. 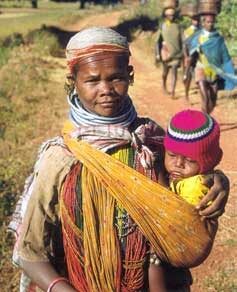 The Bondas are a sensitive Tibeta-Burmese origin tribe known as 'naked people'. They live in the hills coming in to the towns on market days. Women wear only a loincloth, long rows of beads and heavy metal neckbands. Photography is strictly prohibited in these markets. Return to the hotel for overnight stay. Morning visit the Gupteswar cave and local Dhuruba villages. In the afternoon, drive to Koraput. Here, visit the tribal museum and understand more about the tribal culture and heritage of the region. Later continue to Rayagada for overnight stay. From Rayagada, rest of the tour comes to a relaxing halt in Gopalpur-on-Sea. 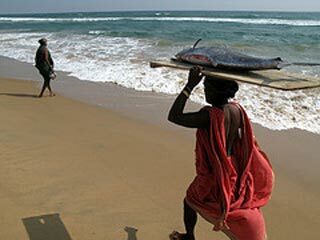 This is a secluded beach resort, providing the best-kept environment to the Odisha Tribal Tour. Day is at leisure. The Oberoi Palm Beach is small relaxing hotel with nice gardens, a bar and restaurant. No pool, but the hotel has a private beach. Early morning transfer by car to Bhubaneswar and board the return flight to Delhi.